All parents are part of Friends & Family of Goldsmith (FOG - formerly known as the PSA) and are encouraged to be part of a group that puts on a number of special events each year. We have an active group that works hard to raise money for the school but we always need more help to run more events! 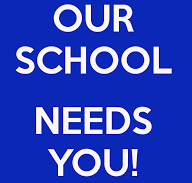 Let the school office know if you want more information or want to be more involved in the life of the Friends & Family of Goldsmith and we will put you in touch with the right people. All the money raised by the Friends & Family of Goldsmith is spent to improve the school and its facilities which in turn, we believe will enrich the education and well-being of our children. We are currently raising money to pay for the installation of a new climbing frame for the Junior playground - something the pupils themselves have suggested. The Friends & Family of Goldsmith are always on the lookout and willing to welcome any new members who have suggestions to help us achieve our aims, and who are willing to volunteer their time by helping to organise and run school events. Getting involved in the Friends & Family of Goldsmith is a great way to meet other parents, actively help the school, enrich your child's experience at the school, and if we dare say it, have fun! It is also incredibly rewarding, and we look forward to meeting you all! In the autumn term we hold our annual Halloween Disco which is a fantastic community event. The Friends & Family of Goldsmith also work with the children in Year 6 to arrange the Christmas Fair in December. In the spring term there is an Easter egg raffle and cake sale. In the summer term, the Friends & Family of Goldsmith gets involved with supporting the summer fair. Please click on the links below to read the latest news..